Experience the farm! Corn maze, hayrides, dairy farm tours, pumpkins, the Jump Pad, Moo Choo Express rides, kids activities, Straw Bale Mountain, play in the corn crib, see baby calves, free face painting, snacks, milkshakes and much more! 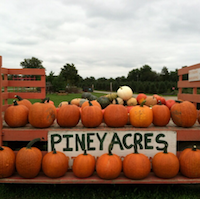 Visit Piney Acres to explore the new themed 8-acre corn maze, take a hayride, enjoy the kids zone and pick a pumpkin out. Dates/Hours: Sept 29 thru Oct 31, Sunday thru Thursday Noon till 6pm, Friday noon till 10pm, Saturday 10am till 10pm. Sensory Sundays 10am till noon. 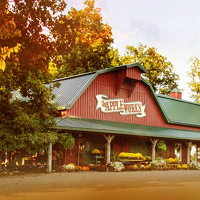 Tuttle Orchards is a favorite central Indiana destination for apple picking, pumpkin patch, corn maze, tractor town kids farm area, and more. Visit the cafe for apple cider slushies, apple and pumpkin donuts, farm to table meals, and fresh dipped caramel apples. 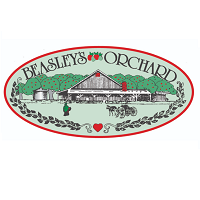 Visit our Farm Store for locally raised produce, gourmet groceries, and gifts. Fall hours: Monday-Saturday 9AM-7PM. CLOSED SUNDAY. No pets. No general admission or parking charge. 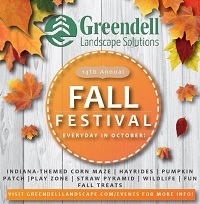 visit http://www.indianapolisorchard.com/fall-overview/ for specific activity pricing and hours for each activity. Dates/ Hours: September 22- October 31, Monday- Saturday 9am- 7pm CLOSED SUNDAY. Enjoy a great time on a real working farm with family and friends! Hayrides, scavenger hunt corn mazes, petting zoo, train, pedal carts for all ages, bounce house, rides including the tumbleweed and whizzer, Mount Russell slide, two country stores, playgrounds, miniature golf, great photo opportunities, games, and much more. Have fun with these activities as many times as you want for just the front gate admission charge of $10 each (ages 2 and younger are free), ages 60 and older $8, and anyone active in the military or veterans are free with ID. Pumpkins are an additional charge. Evening group bonfire outings and weekday field trips by reservation only. Dates/Hours: Open every Saturday and Sunday, September 29th – October 28th,10 AM-6 PM. and Friday, October 12th and 19th, 2 PM-6PM. 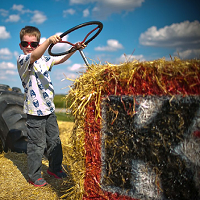 A fun-filled family farm featuring Circle City Sports Corn Maze, Hayrides to the pumpkin patch, Barnyard Bonanza family activity zone, apple picking, live entertainment, food and more! Activities open Sept 21 thru Oct 31! The Apple Works in Trafalgar is home to a 20-acre U-Pick pumpkin patch complete with wagon rides! Weekends include pony rides, train rides, a kid’s corral with a mini zip-line and straw mountain, and scrumptious homemade warm apple dumplings with ice cream. Don’t forget to visit Ol’ McDonald’s farm animals at our petting zoo to feed our furry friends. Make time to visit the retail barn before you leave for pumpkin decorating accessories, fudge, apple donuts, caramel apples and other delicious baked goods. We invite you to join us September 29th and 30th for our Scottish Highlander Festival! Harvest season is celebrated each year on the 1860s Stonycreek Farm in Noblesville. 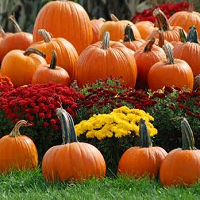 The 46th Annual Pumpkin Harvest Festival runs September 29-October 31 and is open daily 10 am-5 pm. Among many festival highlights, Stonycreek Farm will feature a NEW Twisted Woods Haunted Hayride, every Friday through Sunday from 7-11 pm. In addition, enjoy hayrides to the pumpkin patch, a 400-foot zipline, a haunted house for youngsters, a gourd sling shot, corn cob cannon, Kiddiepillar (inflatable), farm animals, and more. 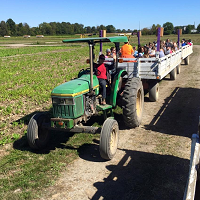 Enjoy a tractor pulled wagon ride to pick your own pumpkin from acres of pumpkins at both locations! Our Greenwood location has farm animals to visit & pet, a straw fort, farm challenge obstacle course, pedal carts, mini train ride and more family friendly activities. Our Raymond Street location has Tyranny our pumpkin chomping dinosaur, exotic animals, pony rides, corn maze, straw bale maze & straw mountain. Enjoy food & live music on weekends.